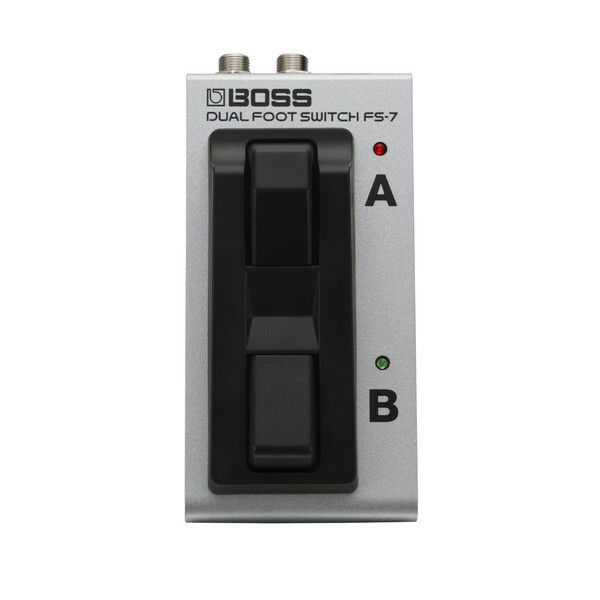 The Boss FS-7 Guitar Footswitch is a compact dual foot switch for remote control of effect pedals or amp channel switching. 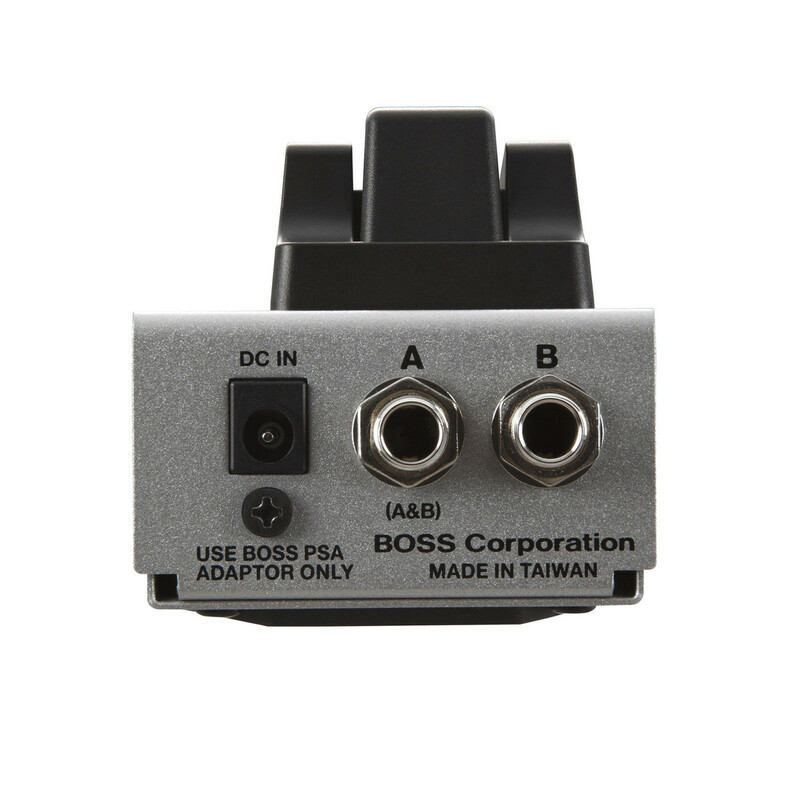 The space-saving design features two footswitches that are arranged in tandem, great for use with pedal boards. Use the FS-7's dual footswitch design to enhance pedals like the Boss RC-1 or RC-3 looper, offering quick and easy access to functions like record, overdurb, undo, redo, and more. 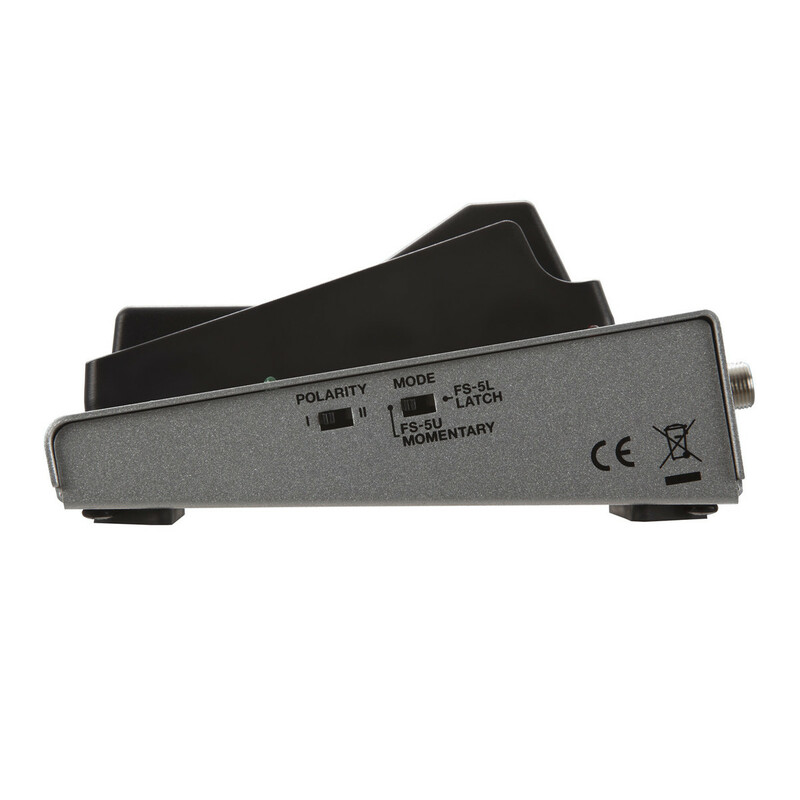 Conveniently control a wide range of equipment with two selectable modes for latch or momentary on each A/B switch. Operates as momentary switching with no power* (*LEDs will not illuminate without AC power).